Amaro's early artistic calling as a painter and architect matured academically at the Escuela Técnica de Arquitectura de Sevilla (Spain) and at the Instituto Universitario Di Arquitettura Di Venezia (Italy). His university studies culminated in a Bachelor's Degree in Architecture at the École Nationale Supérieure d'Architecture de Paris Val-de-Seine (France). This multidisciplinary education was completed with a Master's Degree in Scenography, in addition to many years of successful work as a trompe l'oeil and mural artist. Ultimately, this wealth of skills and experience allowed Amaro to develop his unique sensibility as an interior designer. In 2007 Amaro opened his studio in Seville, where he develops a wide range of residential, commercial and ephemeral interior design projects. 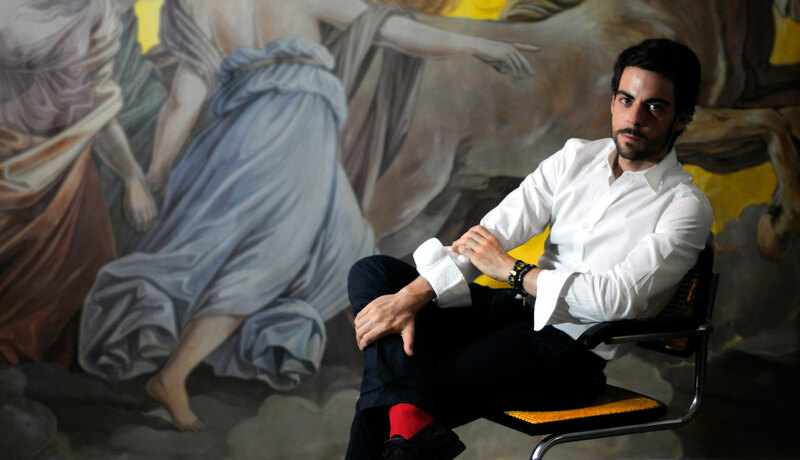 A true world citizen, Amaro has worked internationally in a variety of cities, such as Paris, Saint-Tropez, Venice, Lisbon, Madrid, and Seville. "My individual signature is precision, from concept development to technical drawing and execution. Artistic excellence is paramount. Most importantly, I feel comfortable and adroit with all types of clients and architectures, from a luxurious baroque palace to a casual pied-à-terre on the coast". The common denominator among all his projects is attention to detail and expertise. Through a silent dialogue with architecture and continuous consultation with the client, Amaro comes up with the perfect solution for each project, without any style imperative. The end result not only reflects the individual personality of the owner, but it also transcends time and ultimately expresses the essence of the present moment.